Ronda Rousey is back. Get excited. 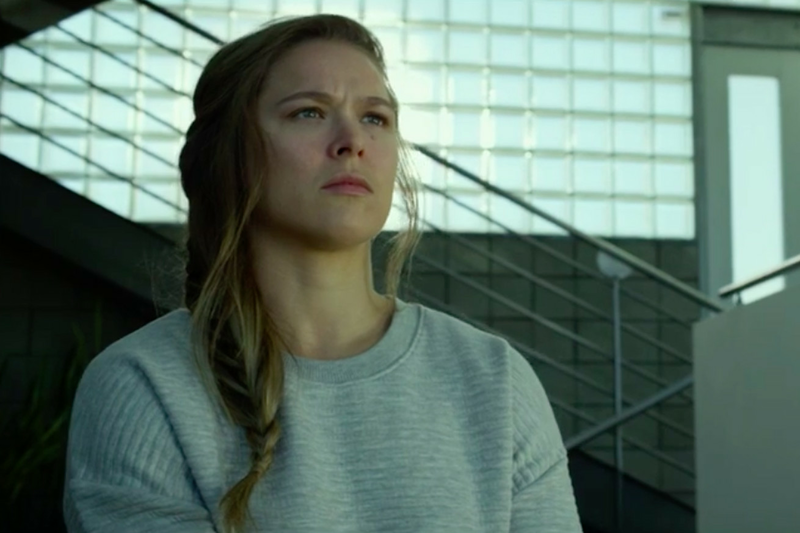 On Wednesday, the UFC debuted a brand new promo for UFC 207 on TMZ, featuring Rousey ahead of her title fight against Amanda Nunes on Dec. 30 in Las Vegas. The well-done ad takes us into Rousey’s home in the Hollywood Hills, overlooking the rest of Los Angeles. There, Rousey tunes out the critics (literally turns off Stephen A. Smith) and begins training for her comeback, running the trails nearby. There’s also footage of her at Glendale Fighting Club training with coach Edmond Tarverdyan. Rousey doesn’t say anything in the promo at all, but doesn’t need to. The gravity of the moment is enough. Rousey is trying to come back from a devastating loss to Holly Holm at UFC 193 in November 2015. She’s been out of the public eye for much of 2016, and this is a pivotal moment in her career — trying to get back the belt she held with an iron grip for two years. Before the shocking loss to Holm, Rousey had never been defeated or even challenged. She had beaten her previous four opponents in 66 seconds or less.